Lords Hotels & Resorts’ journey in the hospitality industry has been a distinguished one. The brand has always aimed to offer guests the opportunity to explore the unique flavor of every destination. Apart from this, the need to create a personalized experience for every guest has driven the hotel chain to constantly streamline its services. 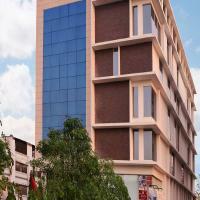 Today, Lords Group of Hotels is synonymous with quality and has a track record of satisfied customers. To make your stay a comfortable one, the hotel ensures every detail is taken care. From the most basic requirements like toiletries to the everyday necessities like Wi-Fi connectivity, you look forward to finding everything under one roof. During your stay, you could access the swimming pool, spa facilities, or simply head over to the fitness center. You will also be able to meet your work commitments with the computers and fax, photocopy and printing services. 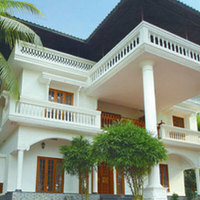 Certain hotels also offer pickup facilities and arrange sightseeing tours. Need help planning a business conference, wedding, or any other event? 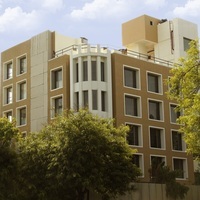 Lords Hotels & Resorts offers the best venues suited to your preferences. If you want to host a business conference, the conference halls come equipped with the audio-visual system and skilled staff to manage your event. For bigger events like weddings, banquet halls are the ideal place to host the reception, with amenities and services customizable to your specifications. 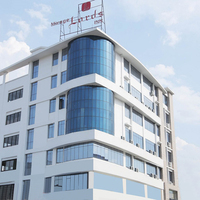 Lords Hotels & Resorts owns 25 hotels across India and Nepal. This includes destinations like Ahmedabad, Bharuch, Bengaluru, Jodhpur, Dwarka, Silvassa, Jammu, Vadodara, Jaipur, and more. 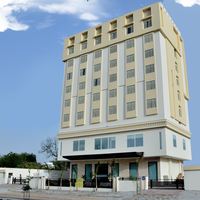 The brand recently opened its new hotel at Thrissur in Kerala. 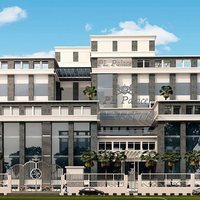 Among its upcoming hotels include the Lords Eco Inn at Bharuch in Gujarat. 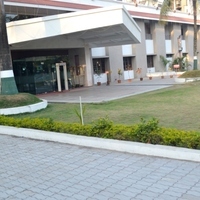 Lords Hotels & Resorts offers special offers and discounts. This includes special packages at exciting prices. Additionally, when you book in advance, you could avail of great discounts. Services like laundry and meals are also available at discounted rates. Want to make your bookings in an instant? Download the Cleartrip app. It is easy to use and offers you the best deals. The app’s pay@hotel feature lets you make your payment directly while checking in at the hotel. With convenience guaranteed, why choose to make your booking elsewhere?